Molly Qerim is a gorgeous American sports journalist, television host, anchor, and the star of ESPN show titled First Take. Prior to her career at ESPN, Molly has worked as a host and correspondent for other networks including NFL network, CBS Sports Network, and Fox Sports. Following her outstanding contribution on ESPN Network, Molly was honored with an Emmy Award in 2008 for her excellent performances. Additionally, due to her is exceptional beauty, Molly was named among the 20 Sexiest Sports Reporters of the Year 2012. She was also listed as one of the 10 Most Beautiful Female Sportscasters in the same year. Read on to find out more interesting facts about the amazing sports journalist below. The American sports journalist was born in New Haven, Connecticut on March 31, 1984. She was raised by her parents along with her other siblings. Qerim is of Albanian and Italian ethnic descent. She graduated from the University of Connecticut where she obtained her bachelor’s degree majoring in Communication and minor in business administration. She also enrolled at the Quinnipiac University where she got her master’s degree in broadcast journalism. Upon graduation, Molly began her career in 2006, working as a correspondent on ESPN digital media and ESPN Mobile. She brought live coverage of several sports championships such as Super Bowl, NBA Draft, the Heisman Trophy Presentation, MLB All-Star game; College Football, as well as, Fantasy Football Now. Following her outstanding contribution to the network, Molly got an Emmy Award in 2008. She also started hosting an interactive program called Campus Connection the same year. Joining CBS Sports in 2010; Molly Qerim covered several stories including college football, and NCAA tournaments as well as the US Open and National Signing Day. Later on, she served as a host of other CBS shows such as SEC Tonight, MaxPreps Lemming Reports etc. While at CBS Sports, Molly also worked as a contributor for Fox Sports, thus making hers the first UFC coverage for the network. She is one of the female pioneers from the Ultimate Fighting Championship industry (UFC); Molly has been reporting UFC for different networks since 2007. In 2012, Molly joined NFL Network where she served as a host as well as a correspondent; she hosted NFL shows such as NFL Fantasy Live and NFL AM. After three years of successful career at NFL network, Molly returned to ESPN in 2015. She started hosting ESPN2’s program titled SportsNation and in July of the same year, alongside Stephen A Smith, Molly became a host of First Take. The show presents daily sports news as well as interviews with different athletes and has been airing on the ESPN Channel since 2015 to date. 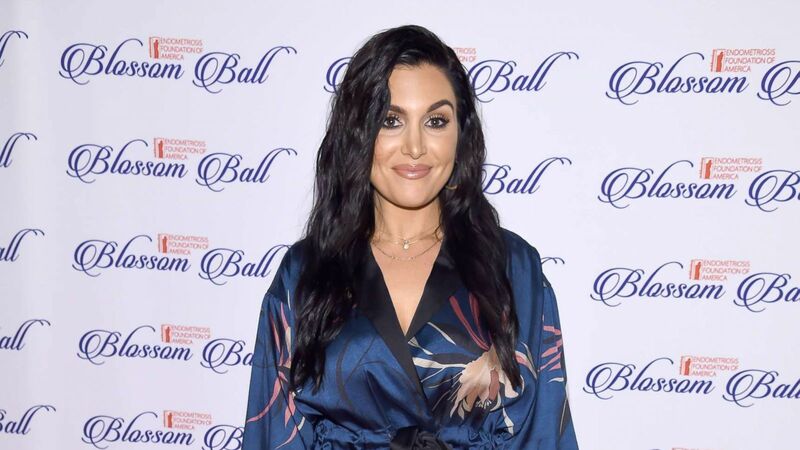 Who is Molly Qerim’s Boyfriend? Is She Married? Wondering if the gorgeous reporter is married or not? Well, the answer is no but she is currently in a serious relationship with Jalen Anthony Rose, a sports analyst, and former NBA star. Born on January 30, 1973, Jalen has played basketball for six teams of the NBA including Indiana Pacers, Denver Nuggets, Toronto Raptors, New York Knicks, Chicago Bulls, and Phoenix Suns, among others. Following his passion for sports, Jalen became a sports journalist immediately after his retirement in 2007. He joined ESPN where he is currently working as a sports analyst and he is also the co-founder of the Jalen Rose Academy. Prior to his journalism career, Jalen won several awards; including Magic Johnson’s Professional Basketball Association Writers Award in 2003. He joined the Detroit High School Hall of Fame in the same year and in 2017; he got a star in the Michigan Basketball Hall of Fame. Molly and Jalen’s relationship saw the light of the day in 2016 when the duo was spotted together at the games and public events. They have been together for a few years and the love between them has continued to grow. Despite working in the same work environment, the couple has recorded significant successes in their respective careers. Although he has never been married, Jalen has three children – two daughters, Mariah and Gracie as well as a son named LaDarius from his past relationships. We hope the couple will take a bold step soon to seal their love with a nuptial bond. The stunning sports anchor is very attractive and has a wonderful personality. She is very tall; standing at 5 feet 6 inches (1.67 m) which is an inch above the average height for an American woman. In addition to that, she has a slim bodybuild with ideal body measurements (breast-waist-hips) of 37-27-38 inches. Her body weight is 63 kg (139 lbs) and she wears a dress of size 8. She has brown eyes, black hair, and shoe/feet size of 8. You can also be a fan by connecting with Molly on Instagram and Twitter.